It’s just getting ridiculous now. 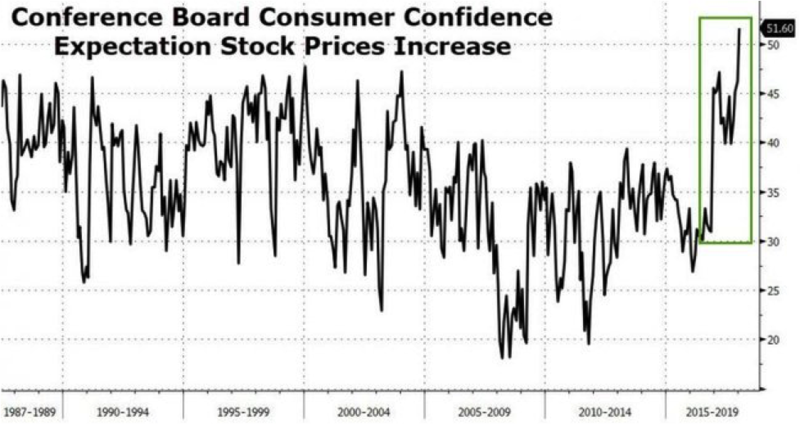 In an environment marked by utter political unpredictability, “emergency” government economic policies that have been in place and propped up the stock market for nearly a decade, and out-and-out soaring debt levels, the good old US consumer simply can’t imagine things are ever going to get worse. Yet another indicator topping out. Extreme policies, extreme sentiment, extremely low-interest rates, extreme valuations. Could there be a better recipe for an extreme stock market correction? 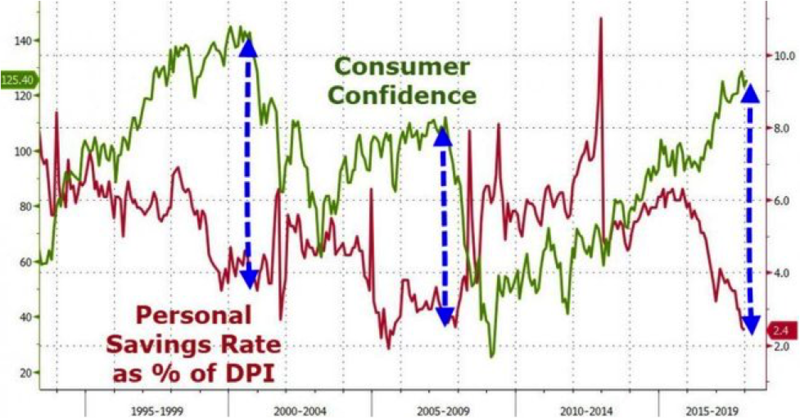 And oh yeah, anyone remembers how the personal savings rate plummeted while consumer sentiment skyrocketed prior to the giant stock market crashes in 2000 and 2008? Anyone care to take a guess what is happening in those areas right now?